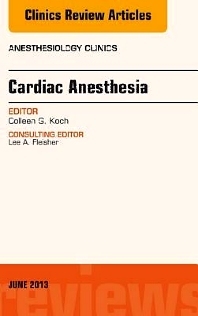 This issue of Anesthesiology Clinics covers the latest updates in cardiovascular anesthesia written by the world-leading experts on the topic. Procedurally-focused articles cover best practices in fluid and blood management, mechanical circulation support, anesthesia for robotic surgery, adult congenital heart surgery, transplantation and more. Achieve the best outcomes and keep current on this area of anesthesia practice.